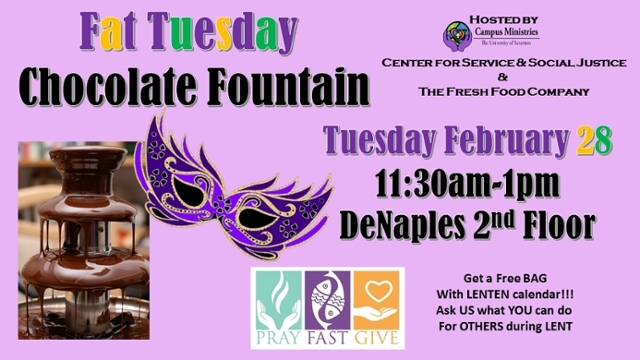 The Chocolate Fountain is a pre-lenten celebration for students and staff coordinated by Campus Ministries' Center for Service & Social Justice and The Fresh Food Company on Fat Tuesday, the day before Ash Wednesday. 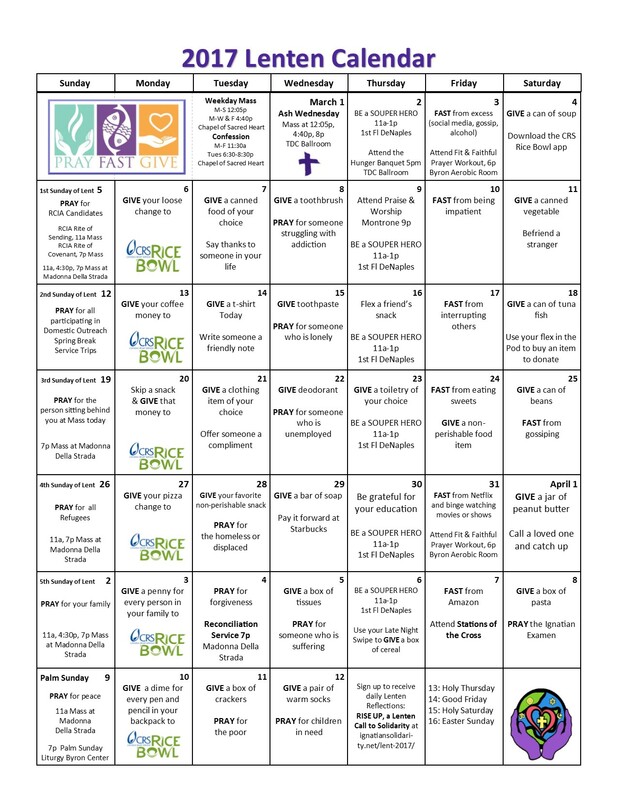 Here are a few simple ways to reap the silent rewards of selfless giving. Leave a friendly note on someone’s Facebook wall. In the winter clean the snow off your car and the one next to you. At a drive-thru, pay for the order of the car behind you. Guest swipe someone without a meal plan. Leave a large tip on a small bill. Make a donation. Most people have things they no longer use or need, give it away to a local charity by bringing it to DeNaples 205B!